Pick up your copy of Jack Scott's Turkey Street at Amazon.co.uk with 15% off. Six months into their Turkish affair, Jack and Liam, a gay couple from London, took lodgings in the oldest ward of Bodrum Town. If they wanted to shy away from the curtain-twitchers, they couldn’t have chosen a worse position. Their terrace overlooked Turkey Street like the balcony of Buckingham Palace and the middle-aged infidels stuck out like a couple of drunks at a temperance meeting. Yet the boys from the Smoke were welcomed into the fold by a feisty mix of eccentric locals and a select group of trailblazing expats, irresistible ladies with racy pasts and plucky presents. It is so important that gay folk write their stories and get them out there. It is also important that those stories be well written and entertaining. This completely charming tale of one gay couple’s escape from humdrum to Bodrum is exactly the kind of thing that is both fun to read and a valuable document of social history in the making. Jack Scott and his husband Liam decamp for Turkey because they can’t stand their rat-race lives in London any more. In their late forties, these men decide on Turkey because it seems to best fit their fantasy of living without working while not starving to death. But all is not pansies and sunshine. Jack Scott’s memoir of their first year or so in Turkey is fraught with the kind of calamities that make one laugh out loud. And a couple that make one cry. Turkey is the buffer between the Christian West and the Muslim East, a country with ancient roots and very modern absurdities—not the least of which is the British expatriate community. I loved that Scott is fairly blunt in his descriptions of the good, the bad and the simply confusing aspects of modern Turkey and what it takes to settle down there. Clearly, it adds to the laughter, but it also provides a clear-eyed reality check. When you chase your dreams, they tend not to turn out exactly like, well, your dreams. There is also a substantial record of both Scott and Liam’s families back in the UK, and some of the most touching revelations come from these asides. Escaping your boring life also means leaving family behind, and for some folks that’s a big deal. Our lives are the result of many choices we make along the way. Jack and Liam took a leap of faith, and then refused to be swayed either by setbacks or unexpected weather. This story is a paean to self-fulfillment and looking for happiness wherever it might be. Perking the Pansies pops up in the most interesting places. 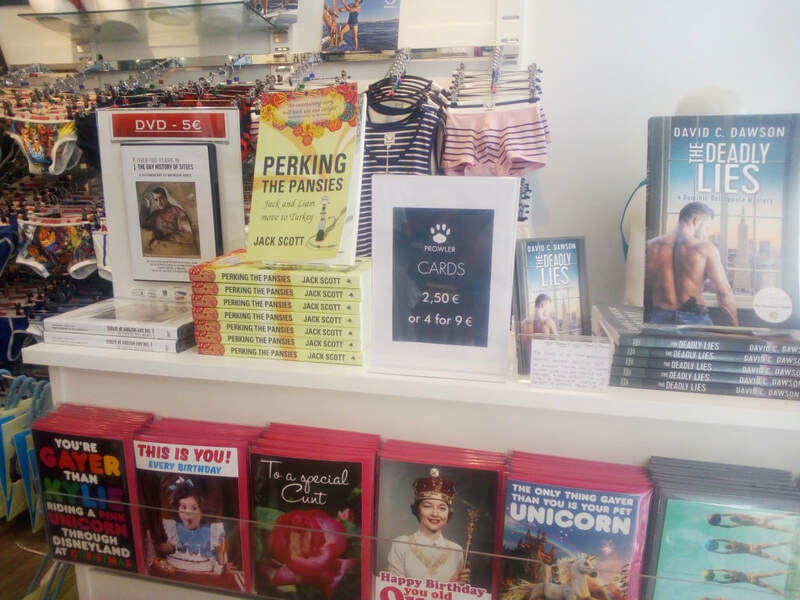 Here's Jack Scott's wonderfully evergreen memoir in @prowlersitges in wonderfully evergreen Sitges, Spain. If you're not able to pick up your copy in-store, you can always order it from the Book Depository with free worldwide delivery or from Amazon. 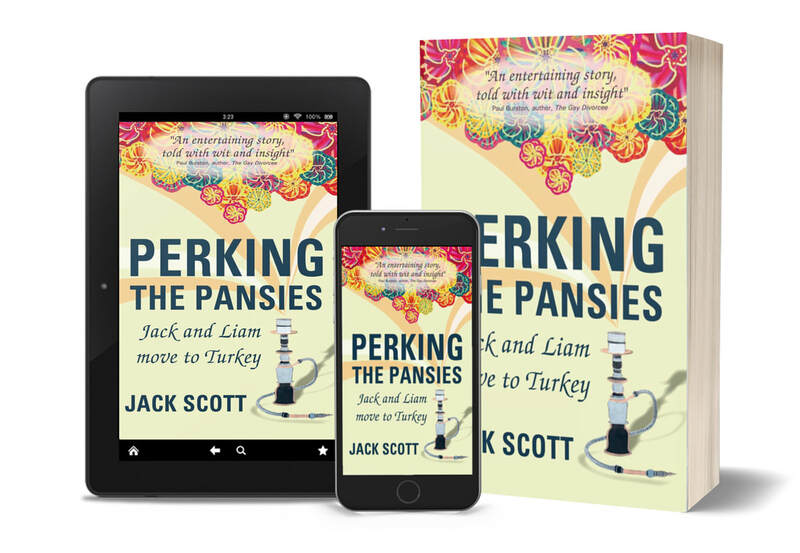 ​If you love British ex-pat memoirs (with plenty of humour) as much as I do you will love Perking the Pansies: Jack and Liam Move to Turkey! 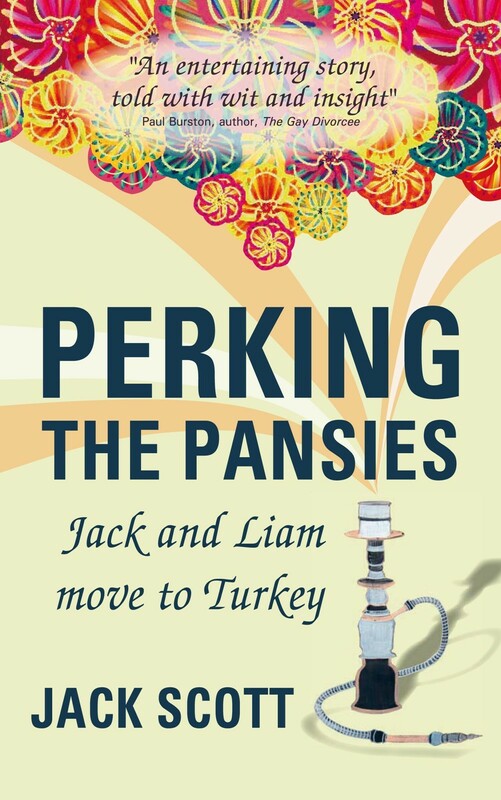 Jack and Liam leave their hurried lives in the UK to live abroad in Turkey. Not without trepidation of what may arise living in a less liberal country. Jack and Liam meet some quirky ex-pats and endearing locals but find that they must distance themselves from several of them. Along with their humour, Jack and Liam have many endearing qualities that will leave you wanting to read more. 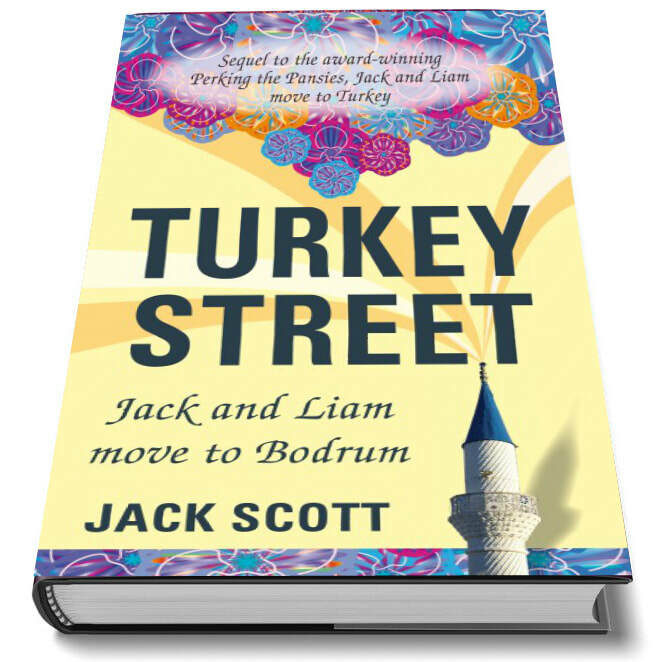 I have already moved on to the next instalment, Turkey Street: Jack and Liam Move to Bodrum.